J ^ arbitration shall be Qatr. before the expir3 r of the aforesaid period and not otherwise. amongst Qatr people shall be reasonable. purposes of this Article, and this shall be done in writing. peratioi any time, the Arabic version is to be relied upon. 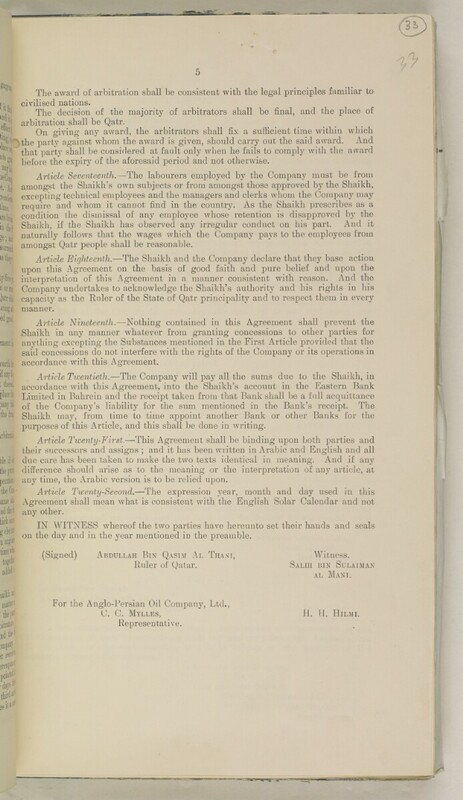 timei (Signed) Abdullah Bin Qasim Al Thani , Witness. C. C. Mylles, E. H. Hilmi.